Metz Connect are a high quality, high performance manufacturer from Germany. Metz manufacture all aspects of copper and fibre technology from board level components to patch leads, making them a true end to end solution provider. The product range consists of the Datacentre Compact Solution (DCCS2) which is a high density copper and fibre cabling solution, P cabling Cat6A, Cat6, and Cat5e cabling solutions for commercial and industrial applications. 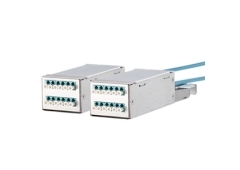 Metz also provide M12 Ethernet for industrial applications and IP20 field termination Cat6a RJ45 plugs for outdoor use and a range of IP67 connectivity. Global connections are more important today than ever. Our world is networked: boundaries are declining in importance. Ideas, concepts, even entire projects are being exchanged around the world in the space of just a few seconds. The more open our world is, the more important the quality of the connection is. The future model of METZ CONNECT has been based on this idea ever since the company was established by Albert Metz in 1976. METZ CONNECT is a medium-sized, family-run German company. Technology, innovation, solidarity, reliability – what counts is the responsibility to our employees and market partners. All divisions of the company are managed in a sustainable manner and on the basis of certified quality standards. Today, the METZ CONNECT Group stands for high quality in the area of contact technology and with connection elements in the electrical engineering and electronics sectors. Around the world, our products guarantee secure and reliable connections for a smooth flow of information – from the printed circuit board to the infrastructure environment. METZ CONNECT has exceptional development and production expertise. Experience and consistent innovation have always inspired the markets. As a result of the fulfillment of these high standards every single day, the company is embarking on a future together with its customers.